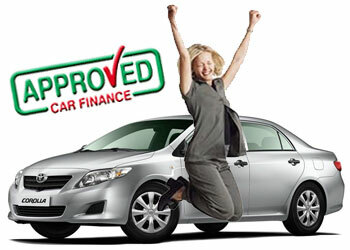 When you’re in the market for a new or used car, you’re probably thinking about financing the vehicle. While dealerships make their own financing programs sound especially attractive, it’s always a good idea to shop around for the best auto loan rates—starting with local credit unions, like First Financial. 1. You have a better chance of having your loan approved. If you have mediocre credit or have had credit problems in the past, a credit union might be “more likely to listen to your story than a commercial bank,” says Schenck. If you’re worried you might get turned down for a car loan because of your credit history, consider approaching a credit union before you talk to a lender at a commercial bank. Even though the loan application process is the same and the underwriting process is similar, the credit union may make some adjustments that a commercial bank would not. Many credit unions are more inclined to listen to its members’ needs and unique situations—sometimes adjusting terms of a loan accordingly. 2. Lower rates. A five-year term is the most common loan term for a new or used car, and rates at a credit union are typically much lower than the average rate at a competitor bank. According to the latest report from the market research firm Informa, the average rate on a new car loan of $30,000 from a commercial bank is 4.16 percent, while the average rate on a new car loan for the same amount from a credit union is 2.82 percent; that’s more than a 1.3 percent difference and equates to a difference of $215 a year, or $1,100 over the life of the loan. 3. Personalized service. Credit unions are not-for-profit organizations and work to provide members with high-quality customer service. Since operations decisions are made by a group of volunteer board members—rather than a group of stockholders—members tend to have a more personable experience at a credit union. You can openly discuss your concerns about your loan, talk about flexible repayment options and review your financial situation with a dedicated professional. This can alleviate some of the pressure of applying and securing financing for your new or used vehicle and you can be more confident that the credit union is working with your best interests in mind. 4. Educational resources readily available. Schenck explains that almost all credit union branches have a dedicated education and resource center, where members can learn more about financing options and how to make the best decisions when assessing the value of their car purchase. If you’re a first-time car buyer and apprehensive about the loan process, you can turn to a credit union for unbiased answers. “The branch can show you how to calculate the real value of your car—not just what the dealership declares as the value of the vehicle— and make a better decision about the deal,” says Schenck. 5. Non-sales approach. Unlike commercial banks, which often grant their lenders bonuses or some type of compensation for the loans they get approved, credit unions work for their members and aren’t driven to sell you anything that equates to extra money in their pocket. All profits from members end up going back to them in the form of better rates on other financial products, such as savings accounts, and more flexible loan options. If you don’t like the pressure of working with lenders from a commercial bank, consider heading to a credit union for a less sales-oriented approach—and potentially rewards in the form of better financial products and services. First Financial’s goal is to provide the highest level of quality products and personalized services while maintaining financial integrity and stability, thus enriching the quality of our members’ lifestyles. Apply for a new or used auto loan right online – it’s quick, easy and secure! For additional questions, feel free to call us at 732.312.1500, e-mail us at info@firstffcu.com or stop in to see at any one of our branches. This entry was posted in Car Buying, Auto Loans and Financing, Credit Unions & Banking and tagged Auto Loans and Financing, Car Buying, Credit Unions & Banking by Marketing Coordinator Nicole. Bookmark the permalink.